A very ornamental plant. 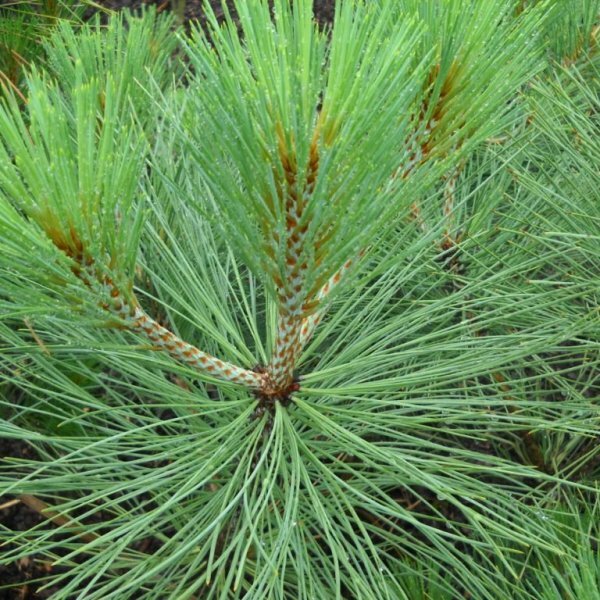 The Jeffrey pine may live 400 to 500 years and can attain immense size. 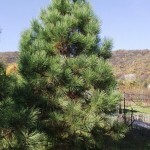 It typically grows to 1,20 - 1,80 m (4-6') in diameter, and 50-60 m (170-200') in height. 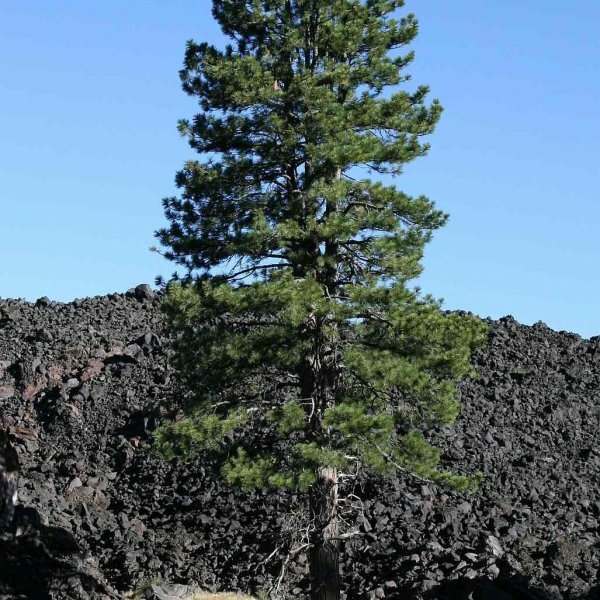 To date, the largest Jeffrey pine recorded in the western Sierra Nevada had a diameter of 2,20 m (7,5'), and a height of 51 m (175'). 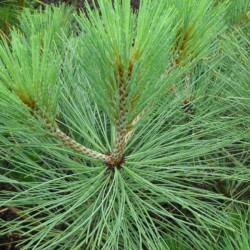 The Jeffrey pine needles are in bundles of three, and are 18-27 cm (7-11") long. 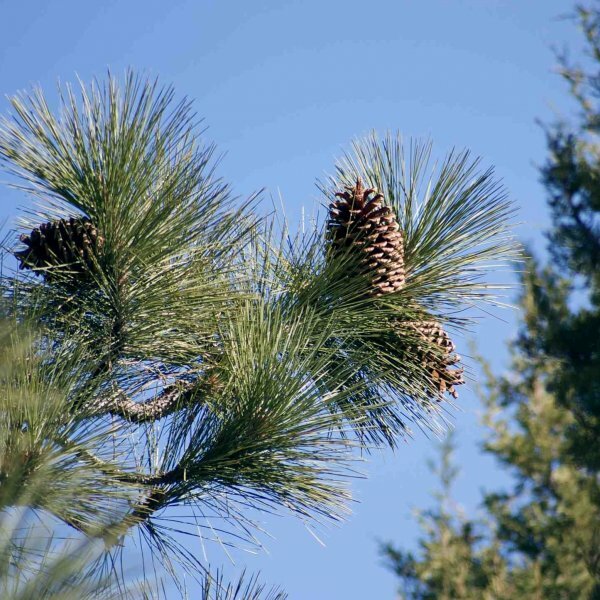 Its’ cones are 15-25 cm (6-10") long, and oval lacking the spines, which make ponderosa pine cones prickly. The Jeffrey pine bark is deeply furrowed, and reddish-brown compared to orange of the ponderosa pine. It also has a strong vanilla or pineapple odor. effrey pine is found primarily in California extending north through the Klamath Mountains into southwestern Oregon, across the Sierra Nevada into western Nevada, and south to the Transverse and Peninsular Ranges and into northern Baja California. In the northeast, central, and southern portions of its range, climate and elevation determine its distribution, rather than soil type. The Jeffrey pine can occupy many sites from the edges of moist, high mountain meadows to arid slopes bordering deserts, and it will grow over a wide range of elevations. The Jeffrey pine also grows in a diverse range of climatic conditions. It grows well on harsh and infertile sites. It is tolerant of drought, adapts to cold weather because it requires a shorter growing season than the ponderosa pine. Landscape uses - Attractive foliage, North American native, Inconspicuous flowers or blooms.. Bark has vanilla scent.